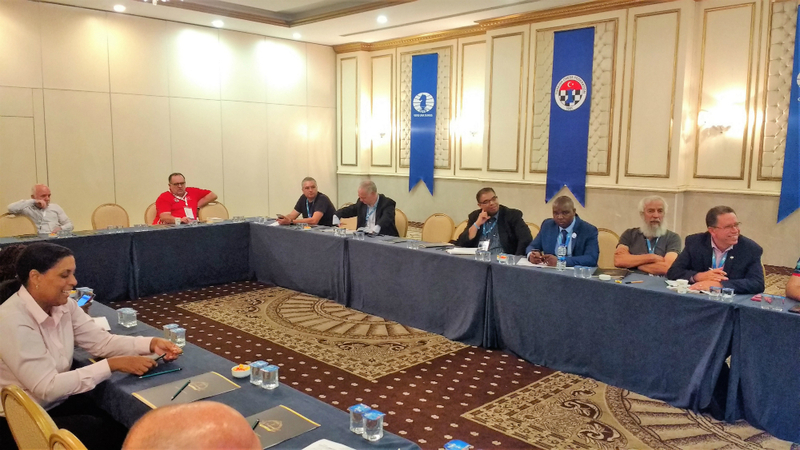 On the fifth day of the 88th FIDE Congress in Antalya, Turkey, the African Chess Federation held a meeting in the morning. 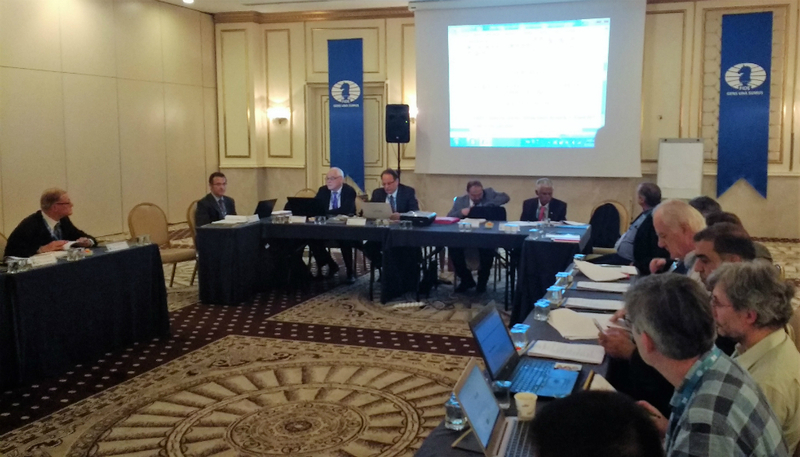 The Commission for World Championships and Olympiads (WCOC) held their meeting from 3 till 6 pm. 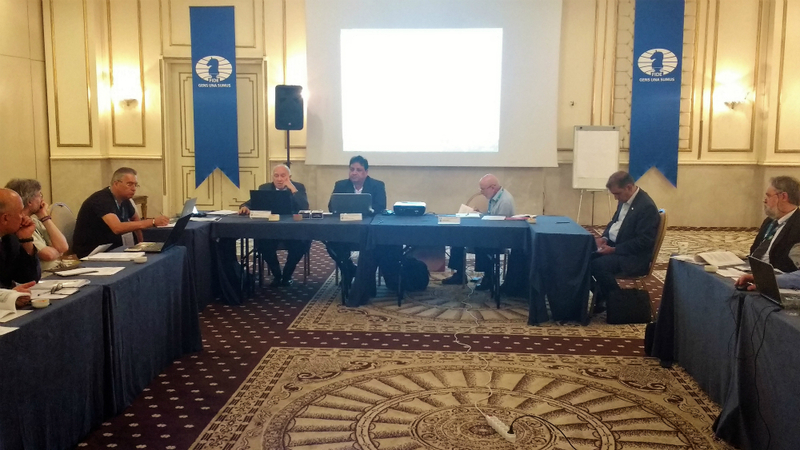 During the meeting of the WCOC, AGON presented their plans for the Candidates Tournament 2018 in Berlin and the World Championship Match later that year. The Commission has also discussed proposals for Candidates, Grand Prix and World Championship Match regulations. 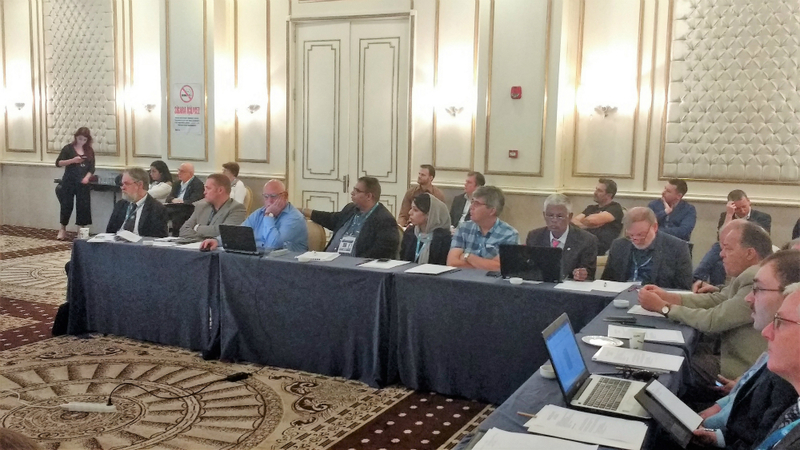 All Commission have had their annual meetings and prepared their reports and proposals, which will be discussed at the Executive Board. The FIDE Executive Board starts at 9 am on 13th of October and occupies the full day. Full schedule, along with the Executive Board Agenda and Annexes can be found on the dedicated page. At the start of the meeting the Chairman of the Commission for Disabled Thomas Luther spoke about goals and strategic plans of the Commission. 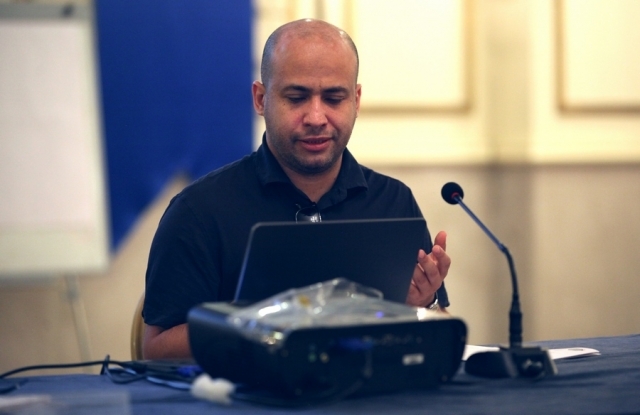 He informed the audience about the FIDE World Junior Chess Championship for Disabled in 2017 and FIDE World Chess Championship for Disabled 2017. Polina Torochkova delivered her report about events in Moscow. The Commission agreed on some proposals which will be discussed during the meeting of the Executive Board. 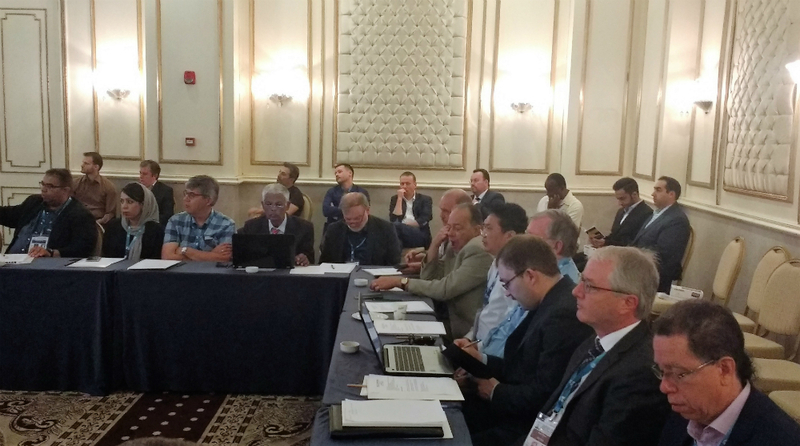 The Events Commission discussed in details proposals for amendments in regulations, regulations of World Youth Rapid and Blitz Championships, FIDE EVE Calendar 2018. 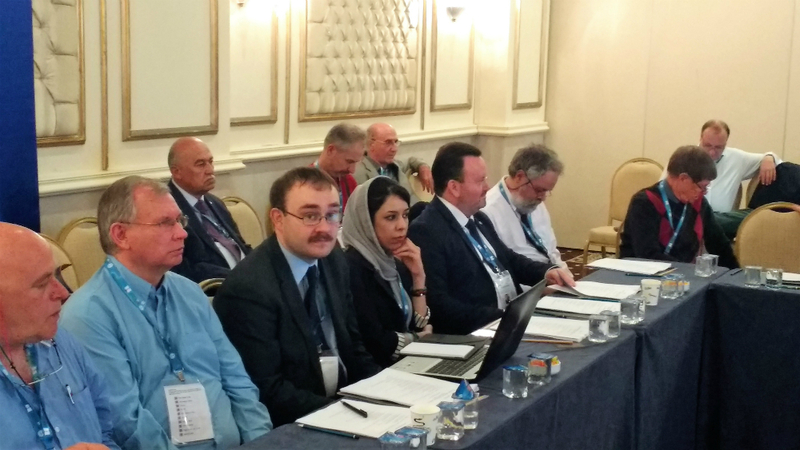 The Commission made recommendations for IO titles for the FIDE Congress and discussed the budget of EVE for 2018. 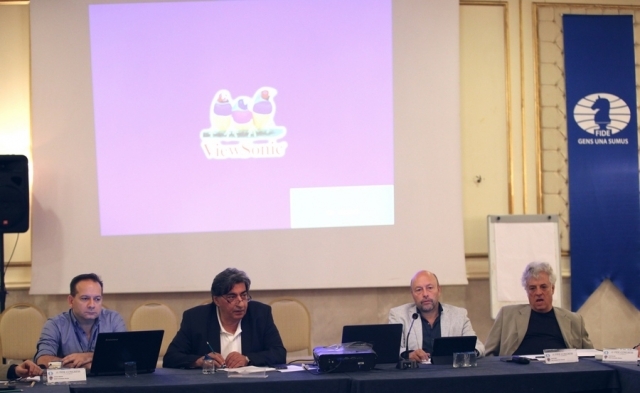 The Constitutional Commission chaired by Roberto Rivello discussed a number of federation and statutory issues. 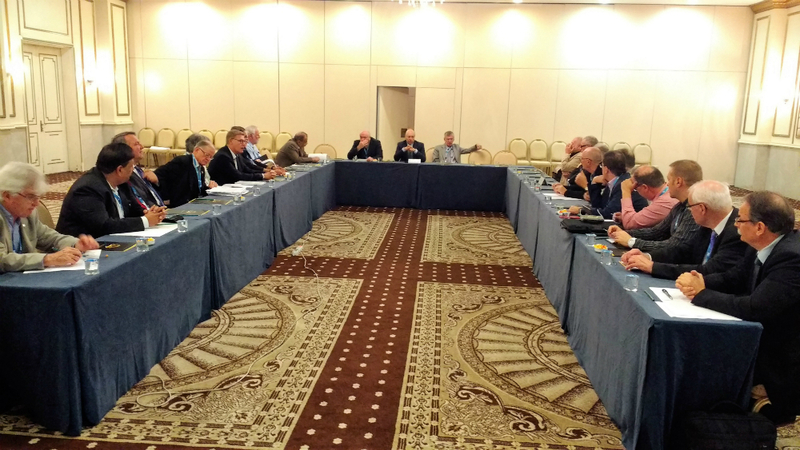 The Francophone Chess Association discussed several issues, including the forthcoming event in Tunisia which will be the fifth Francophone chess championship and will see the participation of several Grandmasters. The Chairman Patrick Van Hoolandt proposed a number of development ideas. The Skills Management Committee Chairperson made a decision to postpone the meeting and it will be held on 12th of October. 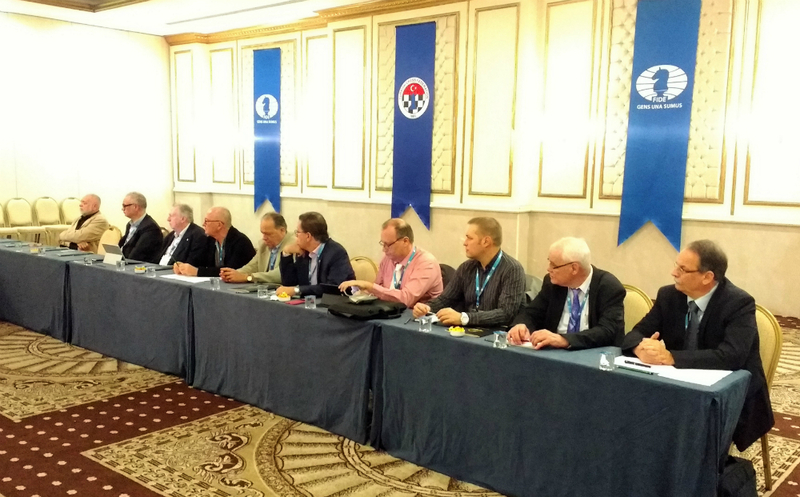 WOM Secretary Anastasia Sorokina started the meeting of the Commission for Women’s Chess by giving a brief summary regarding the events for 2017 and some of the projects of WOM. In the next part of the meeting, participants shared their ideas about how to motivate female players worldwide regardless of playing levels. Besides, it was suggested that WOM introduce leading female chess players as their ambassadors. WOM also made a few proposals. The Chess in Schools Commission approved the changes to regulations to cover the online version of the school instructor. 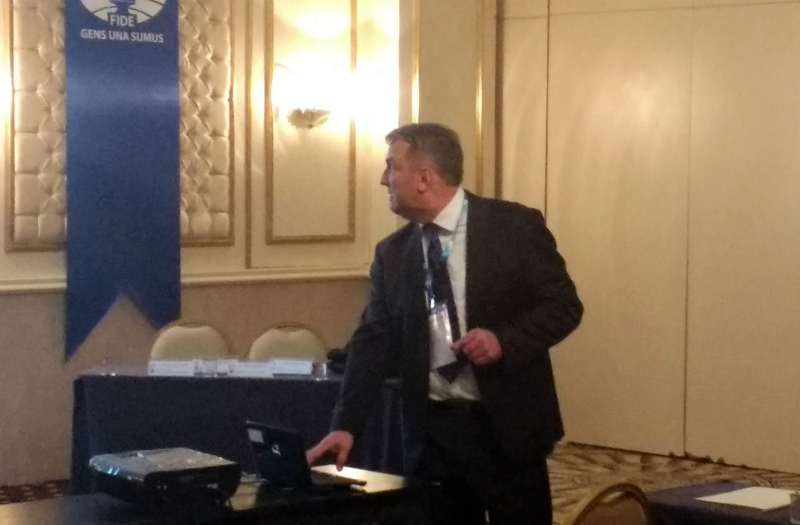 The Chairman Kevin O’Connell was pleased to report that the collaboration that they have been working for the past two years with FEDA and FIBDA is now fully operational with the first ever online seminar and two seminars in Argentina in the last two weeks. The members were pleased to appoint PEP Suerez of Spain who had been so as a counsellor. The Commission also discussed collaboration with AIDEF which they began a year ago and expect to have matching results next year. 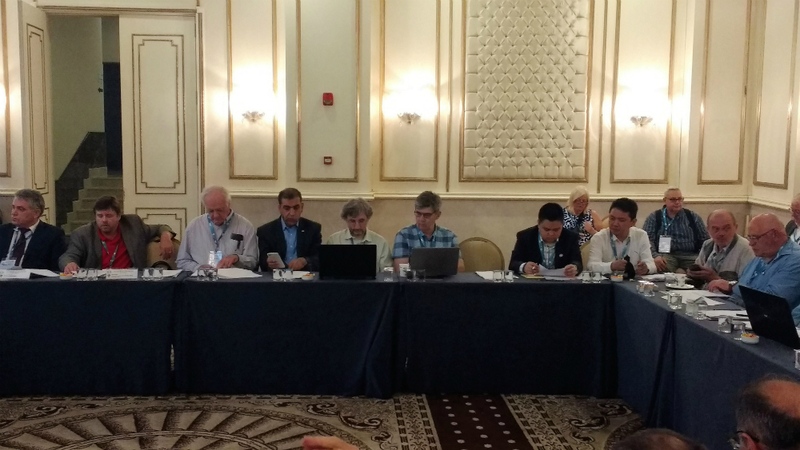 The Verification Commission discussed in great detail the 2016 accounts.FIDE Treasurer Adrian Siegel was present during the meeting to answer many relevant questions received from the floor. One of the items that should be brought to public attention are the "Amendments to the Laws of Chess 2017", which, after the approval from the FIDE Executive Board, should become valid from 1st January 2018. According to the draft, the same regulation regarding an illegal move will apply in standard, rapid and blitz games. 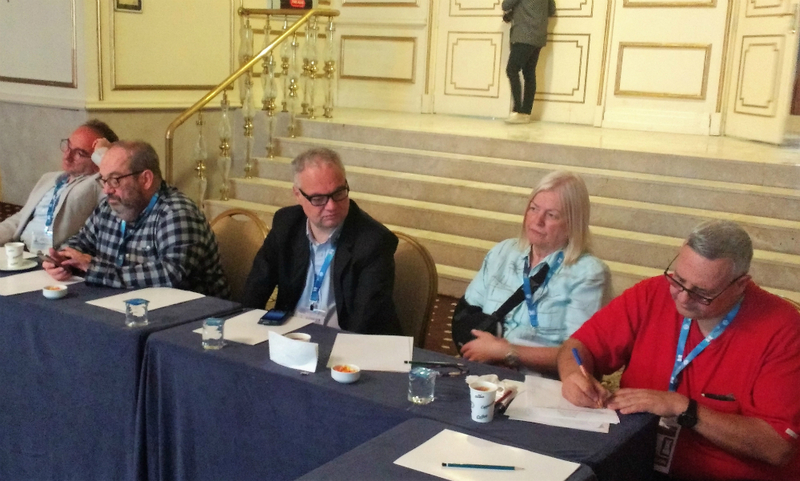 The Marketing Committee saw the interactive presentations by Chairman Martin Huba and member Sonja Johnson. 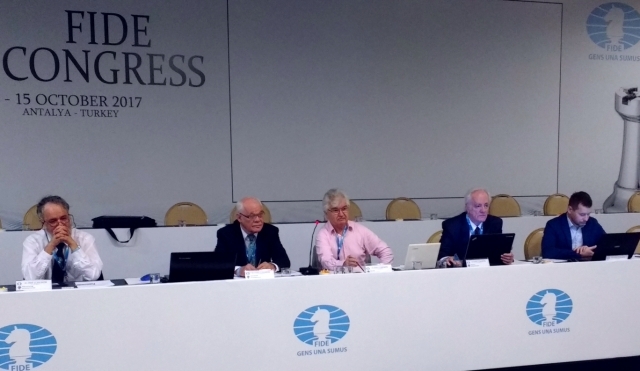 The Committee is proposing several key areas to focus on for further development: Membership, Branding, and alternative sources of funding. The Committee is also asking the Presidential Board to formulate and adopt the FIDE Mission Statement, which is an important first step for applying to grants. The Technical Commission heard the opening by the Chairman and started the session with the "presentation of final text of the Separate Chapter of the Technical matters". 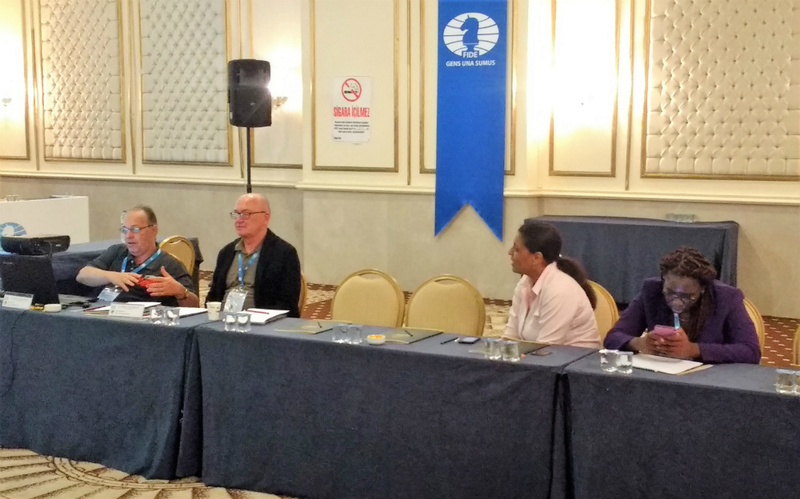 The Commission also discussed the "Chess Evolution Sets" prepared by GM A. Naiditsch, "Live chess platform for FIDE events" prepared by Asim Pereira, "Leap Chess Clock", and the "Tie-breaks study - Unplayed games" with presentations from Prof. Anantharam and Mr. Roberto Ricca. The Arbiters' Commission reviewed the Minutes from Councilors' Meeting in Reykjavik (21-24 April 2017). The Commission approved IA and FA title applications, the Amendments of the Regulations, the List of Lecturers, and Classification of the Arbiters. Also on agenda were the activities of the Commission, including online lectures for the new laws of Chess (in English, Arabic, Russian, Spanish) and online Conference for the new laws of Chess. The Commission presented the 5th issue of the "Arbiters’ Magazine" and the "2017 Arbiters’ Manual", and approved the FIDE Arbiters’ Commission’s Budget for 2017-2018. 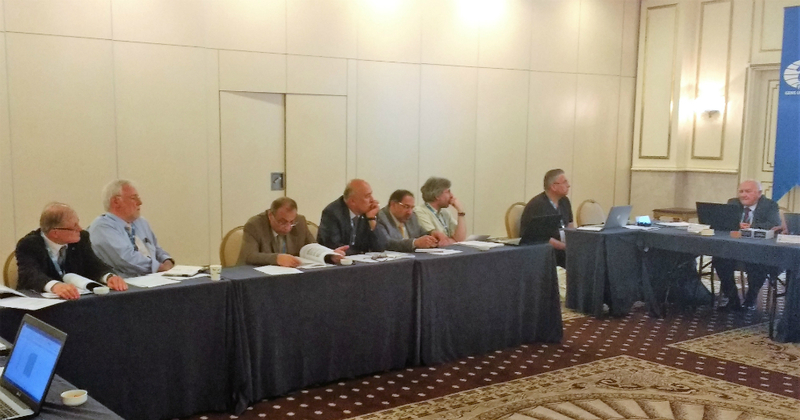 The Trainers' Commission held the consultation session as the Councillors' Meeting already took place this summer in Montenegro. Due to the huge interest of the members and guests, the session was extended to last full two hours. Many relevant questions and competent proposals arrived from the floor, with the Chairman and the Secretary answering in detail.